In our looks-obsessed society, lots of people think that being overweight is an appearance issue. But being overweight is actually a medical concern because it can seriously affect a person's health. The health problems that stem from being overweight go way beyond the ones we usually hear about, like diabetes and heart disease. Being overweight can also affect a person's joints, breathing, sleep, mood, and energy levels. 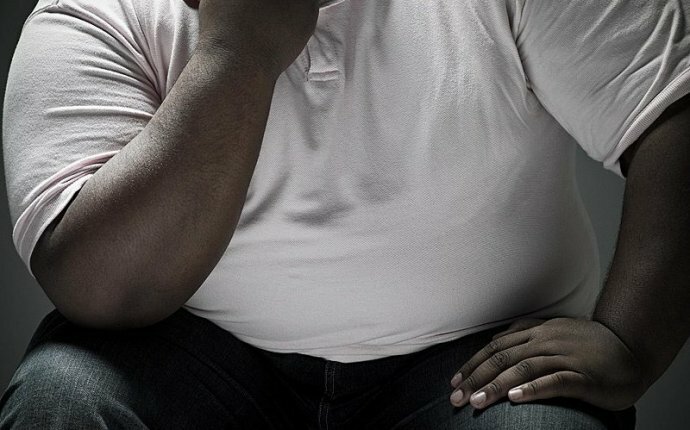 So being overweight can impact a person's entire quality of life. Eventually, the body gets to a point where the amount of body fat can have a negative effect on a person's health. Doctors use the terms "overweight" or "obese" to describe when someone is at greatest risk of developing weight-related health problems. As you've probably heard, more people are overweight today than ever before. Experts are calling this an "obesity epidemic." This health problem affects young people as well as adults — one third of all kids between the ages of 2 and 19 are overweight or obese. So younger people are now developing health problems that used to affect only adults, like high blood pressure, high cholesterol, and type 2 diabetes. Figuring out if a teen is overweight can be more complicated than it is for adults. That's because teens are still growing and developing. After calculating BMI, a doctor will plot the result on a BMI growth chart. A BMI at or above the "95th percentile" line on the chart is considered in the obese range. A BMI number that is equal to or greater than the 85th percentile line but less than the 95th is considered overweight. High blood pressure. When blood pressure is high, the heart must pump harder and the arteries must carry blood that's moving under greater pressure. If the problem continues for a long time, the heart and arteries may no longer work as well as they should. High blood pressure, or hypertension, is more common in overweight or obese teens. High cholesterol. Long before getting sick, obese teens may have abnormal blood lipid levels, including high cholesterol, low HDL ("good") cholesterol, and high triglyceride levels. These increase the risk of heart attack and stroke when a person gets older. Polycystic ovary syndrome (PCOS). Girls who are overweight may miss periods — or not get their periods at all — and might have elevated testosterone (the male hormone) levels in the blood. Although it's normal for girls to have some testosterone in their blood, too much can interfere with normal and can cause excess hair growth, worsening acne, and male-type baldness. PCOS is associated with insulin resistance, a precursor to developing type 2 diabetes. Overweight women also might have fertility problems. Insulin resistance and diabetes. When there is excess body fat, insulin is less effective at getting glucose, the body's main source of energy, into cells. More insulin becomes needed to maintain a normal blood sugar. For some overweight teens, insulin resistance may progress to diabetes (high blood sugar). Luckily, it's never too late to make changes that can effectively control weight and the health problems it causes. Those changes don't have to be big. For a start, make a plan to cut back on sugary beverages, pass up on seconds, and get more exercise, even if it's just 5–10 minutes a day. Build your way up to big changes by making a series of small ones. And don't be afraid to ask for help!